Ted Paone, Si2 interoperability standards architect, said the first step in the process was the formation of the Si2 Design Ecosystem Special Interest Group (SIG), which will write and distribute an industry-wide survey identifying areas of concern. The survey will launch in March 2018. Intel, Cadence Design Systems, Micron, Samsung, IBM and PDF Solutions are charter members of the SIG, which will investigate the impact of current issues in design and the expectations of future design requirements including performance and interoperability improvements to design data bases and scripting languages. IC designers and engineers can submit survey questions for consideration at https://www.surveymonkey.com/r/9NSZCLC. For information about the Si2 Design Ecosystem SIG, contact Paone, tedp@si2.org. Information about joining the SIG is available at www.si2.org. 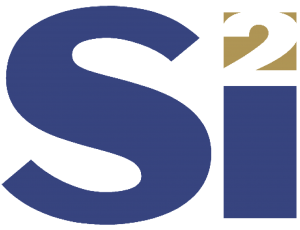 Tom Whipple, solutions architect at Zuken, has been elected co-chair of the Si2 OpenStandards Technology Steering Group. He joins co-chair Jerry Frenkil, director of OpenStandards, in this new leadership role. Paul Stabler of IBM was elected secretary. The Si2 OpenStandards membership offers the option for companies collaborate in one or all of a variety of topical working groups that develop and approve standards for the global semiconductor industry. OpenStandards targets potential standards earlier, streamlines a path for more timely industry approval, and strengthens inter-project collaboration. The TSG is responsible for coordinating OS technology roadmaps, and recommending formation of OS collaborating groups and monitoring their activities. At Zuken, Tom is responsible for defining, promoting and supporting chip-package-board co-design solutions using Zuken CR-8000 design tools.